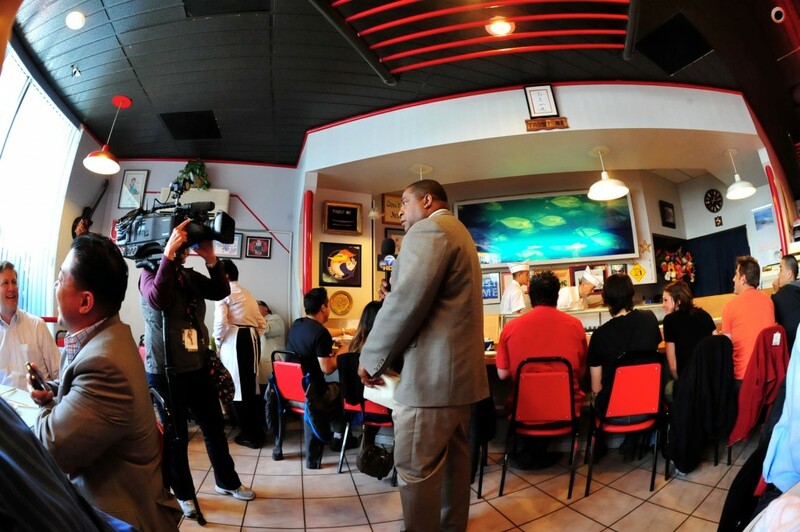 Sushi Nozawa, an institution and pioneer in redefining sushi in Los Angeles for 25 years, closed its door upon Chef Nozawa’s retirement in early 2012. Chef Nozawa now spends his time with the SUGARFISH team collaborating on a new sushi-bar concept — Nozawa Bar and KazuNori | The Original Hand Roll Bar. 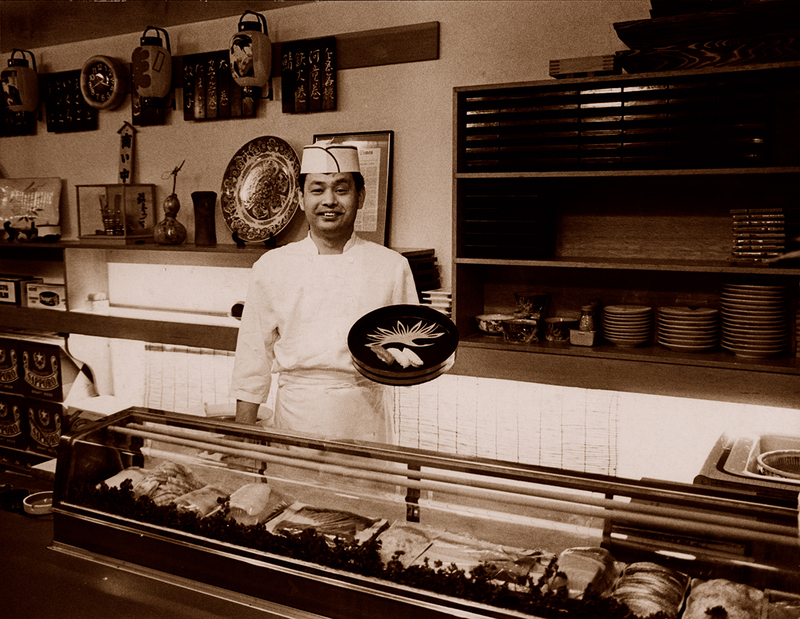 The history of Sushi Nozawa begins when, as a young man in Japan, Nozawa became a sushi apprentice. Working grueling 15-hour days, he made deliveries, washed dishes, cleaned the kitchen, and learned how to prepare the rice. Eventually, he graduated to fish preparation, first learning how to make rolls and then preparing nigiri sushi. Although it was not required of him, Nozawa accompanied the master chef to the fish market to learn the essential task of seafood selection. Nozawa had a burning curiosity and wanted to learn all that he could about fish, so he traveled to each province of Japan, absorbing the local methods of preparing the regional catch. After five years on the road, he returned to Tokyo to open a successful sushi restaurant with his mother and sister. Nozawa moved to California and soon realized his calling: to educate Americans and Japanese-American sushi chefs on the value of traditional sushi. Over the next two years, he worked as a consulting chef, visiting restaurants in Anchorage, Aspen, Denver, Detroit, New York, Portland, and Santa Barbara and teaching the traditional Edo- or Tokyo-style to Korean, Chinese, Japanese, and American chefs. In 1987, Nozawa learned that a location had become available in the affluent San Fernando Valley town of Studio City. He was eager to open his own restaurant where he could serve authentic, traditional sushi in a simple, no-frills setting using the highest quality seafood. Many of his Japanese friends discouraged him, insisting Americans, accustomed to California rolls and other popular variations, would not appreciate Tokyo-style sushi. In spite of their opinions, Nozawa could not be dissuaded, and Sushi Nozawa was born. Three months of empty chairs in Nozawa’s new restaurant seemed to prove friends correct. But everything changed on January 1, 1988, after a rave review, “Code Is Strict At The Sushi Academy,” written by Jonathan Gold, appeared in the Los Angeles Times. The restaurant quickly became a destination for sushi lovers as word spread about this unique, intense, and deceptively simple dining experience. For 25 years, Sushi Nozawa consistently placed in the top tier of the Zagat Guide’s overall food ratings, and also won its best Japanese and best sushi categories. Moreover, Sushi Nozawa garnered a fervently loyal fan base, founded on what the New York Times called, “the fish, the freshest from the world’s waters,” and Nozawa’s unwavering dedication to serving authentically prepared sushi of the highest quality. I was looking for other doctors and asked the doctor to try another SSRI, I hope in the near future, since I really need something to solve this problem and quickly. If Dapoxetine 30 mg is what you need, then so be it.